This is will be a hard read. 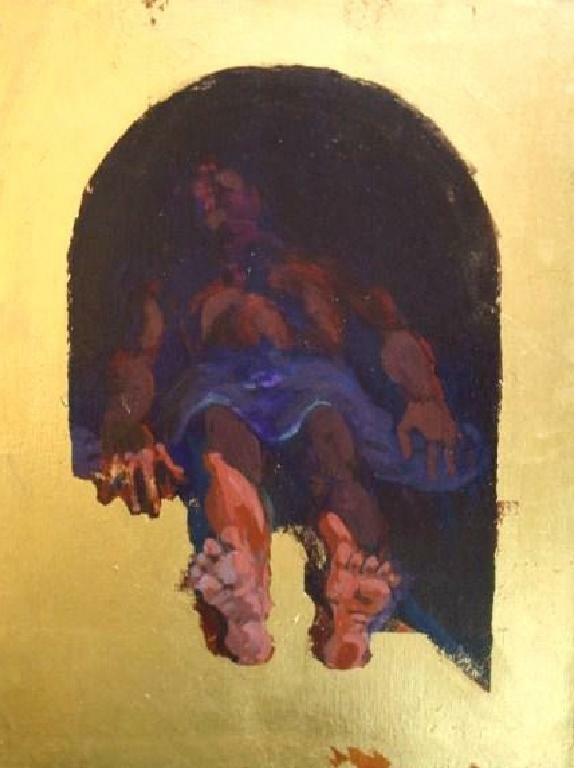 “Jesus being laid in the tomb” is the one time everything becomes still in the Gospels. So ominously, in fact, that it has implications for each of us and the churches where we worship. God has lost His Son for the sake of love to this grave and the bewilderment we experience in serious meditation upon this fact brings everything to a precipice. Indeed, the silence of the sepulcher confronts us with a spirituality which is the scourge of a domesticated Christianity. In philosophical terms, the tomb brings us to the edge of a desert experience and all the coarse, rough-and-ready comments about our lifestyle that goes with it. But how can laying Jesus to rest send us and our ecclesial trappings into the wilderness and out of our comfort zone? The answer is found in the atmosphere invoked by Our Lord’s abrupt end and our intention to take seriously what has happened. All bets are off. Like a rifle shot Jesus goes to Jerusalem and orchestrates a grand and symbolic entrance into the city. Of course he goes to the temple; confrontation is in the air. To be Jesus there is a certain inevitability to all this. Tension builds…his death is a terrible public spectacle. Then, thud, he’s dead…just like the rest of us one day. Jesus is tenderly placed in a borrowed tomb—imagine laying out a dead child and closing the door. Invoking similar thoughts of a deceased loved one are helpful but such recollections—even memories of Jesus alive and well–separate us from the “now” of what is occurring. If we enter this uncharted territory by matching the desert’s indifference and with our own prayerful attentiveness to what’s really important a new level of clarity comes into view. Pretense, suffocating niceness, and too-cozy support of the status quo are items tossed off the caravan trail by a church now focused on lean and honest survival. (1 ,2,3) The Solace of Fierce Landscapes, Belden C. Lane, Oxford Univ. Press, 1998, (Desert Father Evagrius, among others, commended this “desert habitus of contemplative prayer”), pp 11, 249, 252, 195, note,271.